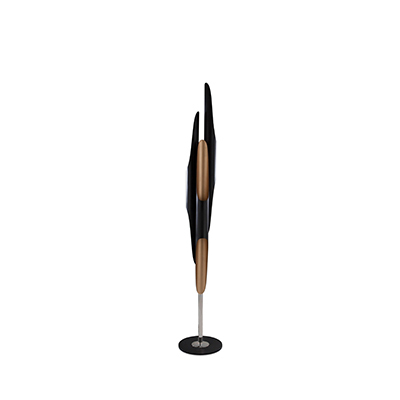 Black Friday is just around the corner, feel free and check out a collection of modern floor lamps, that we feel, are a sure purchase if you see them with discount. 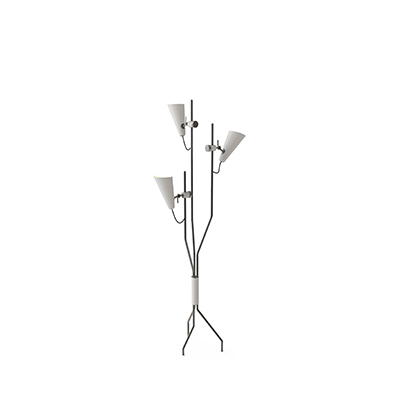 To kick off our list we have Evans floor lamp. A lighting piece that you should definitely check out during Black Friday.Properly named after the famous jazz pianist Bill Evans, the Evans floor lamp features a set of three diffusers, one of reach lamp shade, so that you give it a more personal touch to this piece.Ideal for any mid-century modern living room, you will find the Evans to be a suiting piece, tailored made for your home décor. Matheny floor lamp aims at pushing the envelope when it comes to that mid-century modern design.With a design style that is deeply rooted in the 50s, this floor lighting piece has all of the characteristics of an essential piece that belongs in a Hollywood Glam style home.Perfect for any living room that is looking for a lighting piece that can bring that luxurious taste. Hanna floor lamp is a piece of classic mid-century design déco.The Hanna collection pays homage to Roland Pembroke Hanna.Known for their strong influence from mid-century modern décor, this collection features some of DelightFULL’s most elegant and intricate designs. This piece of mid-century style floor lamp is an essential piece of any mid-century style modern living room. A marriage between Northern design philosophies and southern taste, Ike floor lamp is the best of both worlds. Ike floor lamp has an-all brass body paired with a mix between an all-brass and all-aluminum shade, with an all-customizable build.A staple for any Scandinavian and Industrial home that is looking for a living room floor lighting piece. Coltrane floor lamp embodies the mid-century modern design philosophy. The Coltrane collection is now one of DelightFULL’s unique and trademark collections, always a highlight at any event or fair that DelightFULL attends.Perfect for any Scandinavian or Industrial modern home looking for a more sophisticated piece that still maintains the minimalist design philosophy. Diana floor lamp is a an interesting and simple DelightFULL piece.The Diana collection is praised for their easily customizable and versatile pieces. Influenced by modern jazz singer Diana Krall, Diana collection offers you customization options that few can offer.You can have it in a playful setting, a mid-century contemporary living room, a Scandinavian or Industrial setting. Botti floor lamp is an essential piece of mid-century contemporary design.The Botti collection is a collection of mid-century modern inspired designs that take inspiration from Chris Botti, a renowned trumpet player.Botti floor lamp is a lighting piece that is highly requested by the hospitality market, hotel lobbies, a versatile piece that is sure to be the right fit.